I found this game via the AppStore top charts. One of the trending games now available on the store. It is a puzzle game where in you need to match squares of the same color and number. Doing it in quick and successive fashion gives more points. Like 2Fuse, I also discovered this game thru top charts. 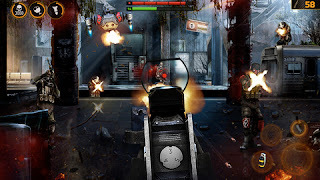 It is a shooter game where the objective is to finish all levels. Buying newer and more powerful guns can help you play each level. But you have to earn your money or purchase medals in order to buy guns, upgrade your armor and buy other things like med pack, grenades etc. Discovered also from top charts. EPOCH. has a similar concept with Overkill 2. 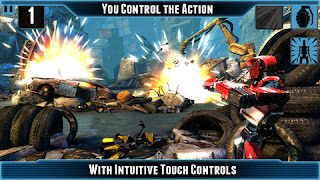 It is a shooter game, where in you can upgrade your guns, armor and buy stuff. The main difference with overkill 2 is in EPOCH. you have the ability to dodge your enemy's bullets by swiping the screen. On overkill 2, you pretty much absorb everything. DotA game for your phone. 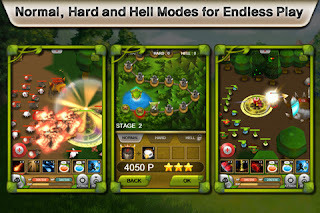 Plants War is a Mobile Battle Arena game. The object is to control your hero and destroy your opponents tower. The enemy's tower is protected by a hero as well and minions being spawned from time to time. Who doesn't play candy crush nowadays? Its even playable on Facebook web. 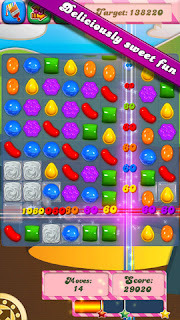 Anyway, Candy Crush a puzzle game that is fun to play but gets frustrating, most of the time. You have limited lives, even limited moves. But what is exciting is the never ending games (as of the moment the game has more than 300 episodes playable) and newer gameplay being introduced. I've been a fan of MMORPG for years. Played a lot of games but the one I really liked is Tantra. 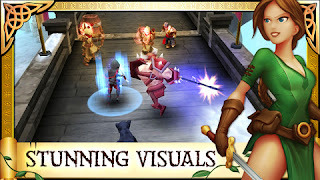 Now, the trend is in mobile and a lot of MMORPG games are available (pocket legends, dark legends, star legends, Order and Chaos Online etc) but Arcane Legends is the one where I stick with played until now. I love simulation games, specially ones involving business or city development. 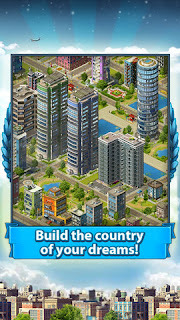 What I really like to play is Sim City but its not available on Philippine App Store. Alternative game is My Country which is also engaging. 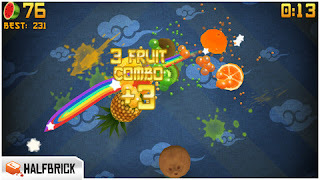 I played Fruit Ninja since its introduction years ago. It was the free version then. But limited game play can be done on the free version and I don't want to pay $0.99 for it. Last week, it became free for I think a week and I grab that chance. Now I have the full version without spending any money.